The Manchester Arena bombing, the London Bridge attack, Shamima Begum have all made headlines in the past few years, linked to terror attacks or concerns. The Counter-Terrorism and Border Security Act 2019 is the Government’s latest answer to curbing and punishing terrorist activity. The Act creates new terrorism offences, changes some old ones, and increases the maximum sentence for many existing ones. 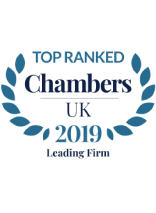 The new provisions came in to force on 12 April 2019 and apply to offences committed on or after that date. This new offence covers a situation where a person expresses an opinion or belief that supports a proscribed organisation (an organisation concerned with terrorism) and is reckless as to whether the person listening will be encouraged to support it. This is explained as plugging a gap expressed by the Court of Appeal in the case of Anjem Choudary’s; where it was not unlawful to support a proscribed organisation, or to express those views. As the photograph is able to reach a wider audience (via social media) it is seen as similar to being in a public place, now making the sharing of such images on these platforms an offence. There is a defence if a person can show a reasonable excuse, for example a journalist researching a story. This offence may also face legal challenge based on free speech and freedom of expression. It would then become an offence for UK nationals or residents to go to, or remain in, any of those designated places subject to a one-month grace period and exceptions for people such as diplomats or armed forces, and other reasons such as international aid work or to visit a terminally ill relative. It is also a defence to enter involuntarily. The Secretary of State must keep any regulated designation under review, and in any event a designation lapses after three years. This section amends the current sections 1 and 2 of the Terrorism Act. It changes the requirement that; statements or publications made are likely to be understood by those at whom they are directed to, whereas now the test is that they are likely to be understood by the reasonable person. The maximum sentence for some terrorism offences have been increased. Some have even doubled such as failure to disclose information about terrorism has increased to 10 years. Others increased by 5 years from 10 to 15 such as collection of information likely to be useful to a terrorist and eliciting, collecting or publishing information about the armed forces likely to be useful to a terrorist. As well as others increasing from 7 to 15 years; encouragement of terrorism and dissemination of terrorist publications. 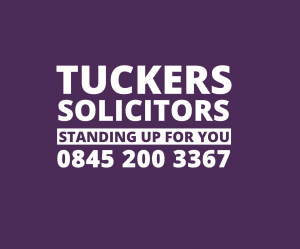 To discuss anything to do with changes regarding terrorism laws please contact us on 020 7388 8333 or email info@tuckerssolicitors.com and we will gladly assist.